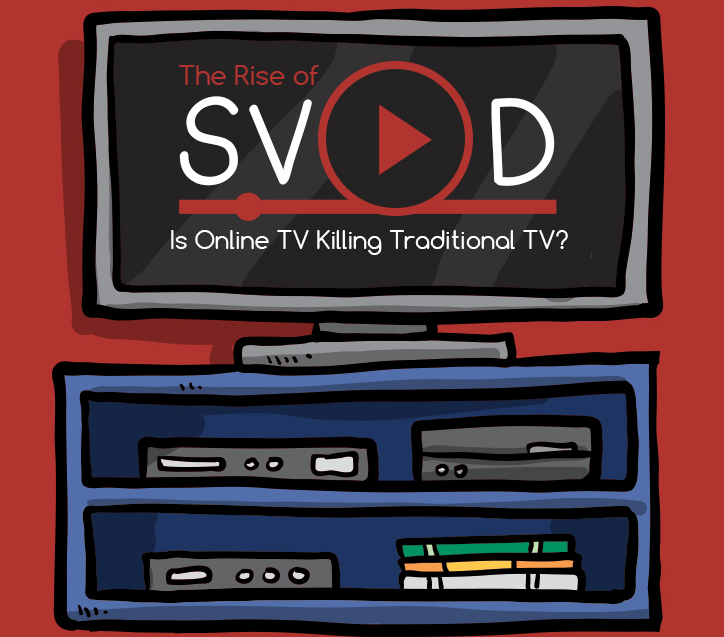 When we use the term ‘Digital TV’ what we largely refer to is subscription video on demand streaming services, or to use their correct acronym; SVOD. We know them best by their brand names, the larger players being Netflix, Amazon Prime and Hulu. ‘Traditional TV’ or ‘Linear TV’ is not dying, however, it is watched least by those in the 16 to 34 years of age bracket. If you look at the statistics for example, more than four in five sixty-somethings watch traditional television every day, but only three in five millennials (i.e.16 to 34 year olds) do so. While age is a major factor in the way consumers watch television content, other factors are also at play. For example, one in four people cut their paid for traditional TV services (or cut it back significantly) in 2015 and close to one in two did so for financial reasons. One in three believed they were not watching enough traditional television to continue paying a premium for it. Outside of age and the cost of premium TV channels, another reason younger viewers are switching to digital is simply because they cannot find content that they want to watch on traditional television. This applies to one in two people who watch traditional television every day. It is almost as high as two in every three people for those aged between 25 and 34. More than one in two people now say that they stream video content at least once every day. Six hours per week is the average time people now spend watching digitally streamed television shows and movies on-demand. In 2011, the average was less than three hours per week. The estimated worldwide revenues for digital television and video services are predicted to reach $42 billion in the next four years. In 2014, revenues came in at $19 billion. Consumer demand is huge and rising rapidly. Almost nine out of ten SVOD users binge watch content at a minimum of once per week, compared to seven out of ten of those who are not SVOD users. For an illustrated snapshot of the rise of digital TV and where linear TV stands in comparison, have a look at the below infographic created by Frame Your TV.